Watch as students use their problem solving and spatial recognition skills to solve puzzles as big as they are! Themes include bilingual letters, colors, and numbers, trucks, animals, outer pace, and world maps. 3 years & up. Discover a fun-filled world of active play in this collage of up-close images of children engaged in a healthy lifestyle. Complete the puzzle to see children climbing, cooking, blowing bubbles and so much more! 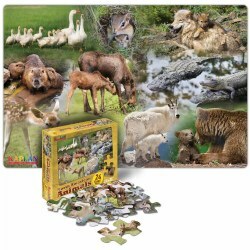 This large 24-piece real photo puzzle is made of extra-thick durable cardboard with a wipe-clean surface. Puzzle insert included. Measures 24" x 36". Made in the USA. 3 years & up. Explore the wonders of the wild in this collage of up-close images of animals in their natural habitat. 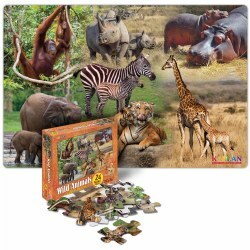 This puzzle features a black rhino, giraffe, tiger, hippopotamus, orangutan, African elephant and zebra with their young. 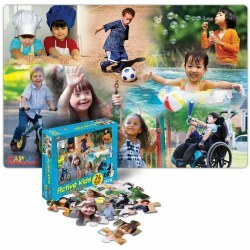 This large 24-piece real photo puzzle is made of extra-thick durable cardboard with a wipe-clean surface. Measures 36" x 24" in size. Puzzle insert included. Made in the USA. 3 years & up. 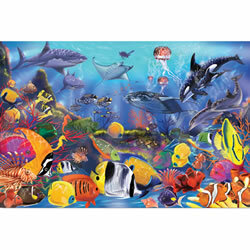 Invite children to imagine an underwater adventure with this vivid 24-piece floor puzzle. 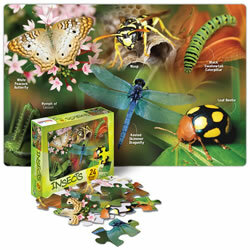 Allow them to immerse themselves in the bold colors and brilliant details of the real images while completing this puzzle. Made of extra-thick durable cardboard with a wipe-clean surface. Measures 24" x 36". Made in the USA. 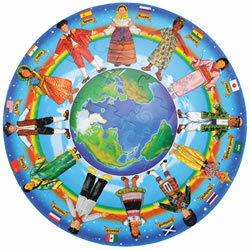 Introduce children to other people and cultures from around the world. The children of the world are holding hands, dressed in their native clothes. 48 pieces. 3 years & up. 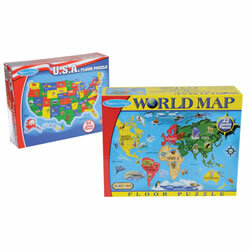 Promote conversation and learning around familiar people, places, and things while developing cognitive skills with large 24-piece floor puzzles. 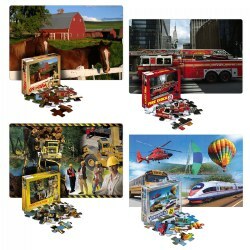 The Transportation, Construction, Fire Truck, and Farm puzzles are made with extra-thick durable cardboard with wipe-clean surfaces and can be purchased individually or as a set of 4. Puzzles measure 24" x 36" each. Made in the USA. 3 years & up. 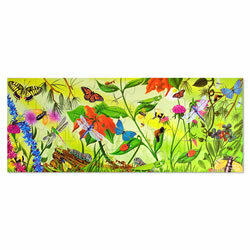 Try to find and name all of the bugs hiding under leaves and beside the flowers. 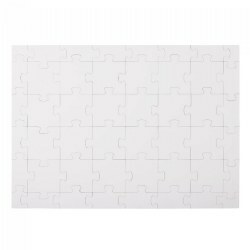 This puzzle measures 46 1/2"W x 18 1/2"H with 24 large pieces. 3 years & up. 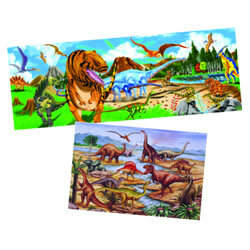 Real photo puzzles made of extra-thick durable cardboard with wipe-clean surfaces. Puzzle inserts are included. Set of 2 puzzles measure 24" x 36" each. Made in the USA. 3 years & up. 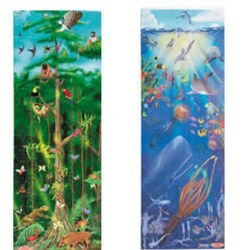 Explore what lives below the sea with this large underwater floor. 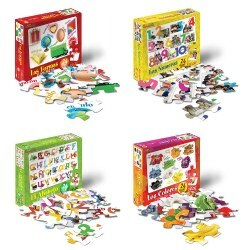 48 extra-thick pieces and easy-clean surface keeps puzzle looking like new. Measures 24" x 36". 3 years & up. 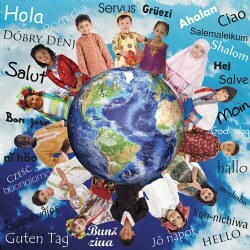 Make the world a much smaller place by learning to say the word "hello" in many different languages. Features the earth surrounded by children of the world and their word for hello. Puzzle measures 36" x 36". 3 years & up. 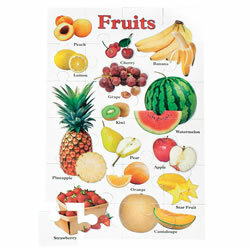 This floor puzzle will encourage children to eat their fruit every day! Features real photographs of essential food products. The outside of the produce shows the various textures and properties that make each one unique. Several cross-sections are depicted to show what they look like on the inside. Reinforces healthy eating habits in a fun and educational way. 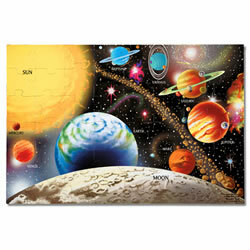 Puzzle contains 24 pieces and measures 24" L x 16" W.
6 years & up. 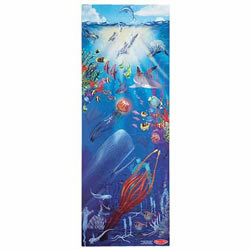 The Under the Sea Floor Puzzle has 100 pieces and is over four feet tall! 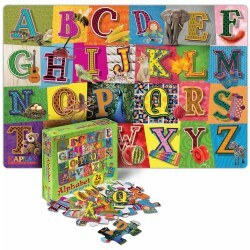 This colorful, detailed floor puzzle is made of heavy duty cardboard that's 20% thicker than other puzzles, and the easy to clean surface keeps the puzzles looking new! 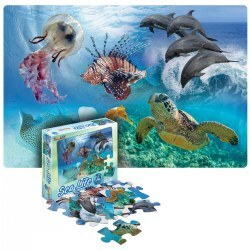 This puzzle features a whale, shark, jellyfish, sea turtles, dolphins, and lots of beautifully detailed fish & sea fauna. It even has clown fish to remind children of their favorite fish movie! 3 years & up. Children will love the up-close, vivid images of North American animals in their natural settings. 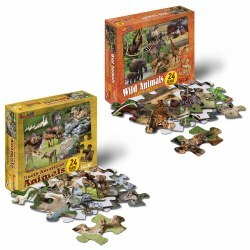 This puzzle features numerous wildlife animals This large 24-piece real photo puzzle is made of extra-thick durable cardboard with a wipe-clean surface. Measures 36" x 24" in size. Puzzle insert included. Made in the USA. 6 years & up. The lush foliage and fascinating animals of the rainforest layers are richly detailed in this picturesque floor puzzle. 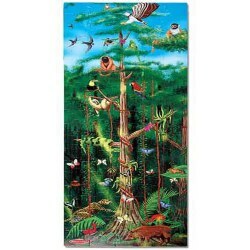 The scenic images on this tall, 100-piece puzzle offer children an enlightening new way of exploring the hidden world of the rainforest while building spatial and motor skills. 4 foot long. 3 years & up. 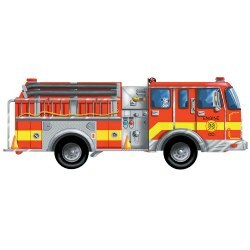 The giant extra large floor puzzle is big, bright and boldly detailed fire truck is sure to provide hours of fun. 24 jumbo pieces will help develop motor skills and problem solving abilities. 4' long. 3 years & up. 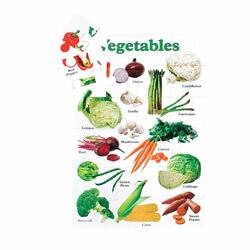 This floor puzzle will encourage children to eat their vegetables every day! Features real photographs of essential food products. The outside of the produce shows the various textures and properties that make each one unique. Several cross-sections are depicted to show what they look like on the inside. Reinforces healthy eating habits in a fun and educational way. Puzzle contains 24 pieces and measures 24" L x 16" W.
3 years & up. All aboard for the alphabet train! 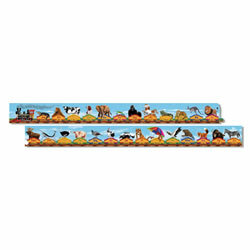 Check out who is riding the train with this 27 piece jumbo floor puzzle. Puzzle measures 10 feet long when finished.